Director/DP Liz Hinlein creates award-winning work that spans feature films, TV commercials, branding promos and photography. She has directed commercials and branding films for global brands, partnering repeatedly with the likes of Dove, Revlon, Gillette, Maybelline, The Sundance Chanel, A&E, Lifetime and MAC Cosmetics. Her feature film, OTHER PEOPLE'S CHILDREN was hailed by VARIETY as "an intriguing debut" and has won multiple awards, including Best Director at the NYLA International Film Festival, Best of the Fest at the Columbia Gorge International Film Festival, the Audience Award at The Fine Arts Film Festival, Best Cinematography Brasov Film Festival and Best Narrative Film at the Lady Filmmakers Film Festival. It is currently playing on Amazon. As a TV director, Liz recently participated in the Sony, Viacom and DGA TV development director programs and has shadowed on the tv series Major Crimes and Finding Carter. With a BFA from NYU's Tisch School of the Arts and an MFA in Cinematography from the American Film Institute, Liz is known in particular for her cinematic eye. She has collaborated with world-renowned artists, such as Judith Jamison, Daniel Ezralow and Rebeca Mendez, and completed an array of photography and video projects for The Wallis Annenberg Foundation and The Desmond Tutu Unity Project. 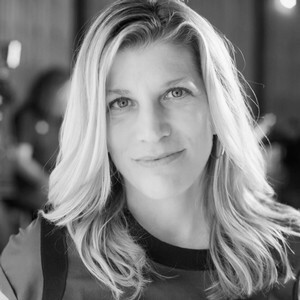 Most recently Liz has directed Shonda Rhimes for the Dove Real Beauty campaign, the superhero web series “Chosen Kin” and two VR projects; one for ITVS and a VCommerce fashion project for Accenture. She is also a professor at USC teaching graduate film directing.